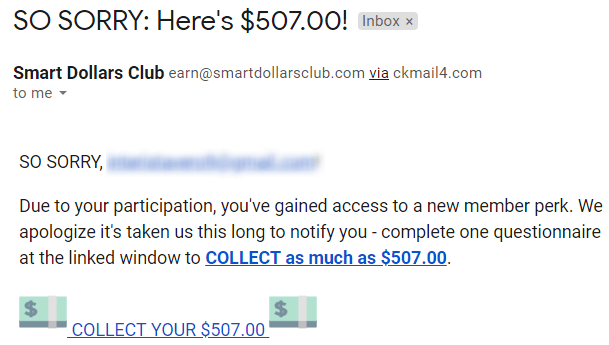 Smart Dollars Club Review - $300 a Day? LOL, it's a SCAM! →Smart Dollars Club Review – $300 a Day? LOL, it’s a SCAM! Can you really earn $150 per survey with Smart Dollars Club or it's just a scam? If you're looking for a real review about this company just sit back relax and give this review a good read! I'm going to share with you how I make a living online and the best surveys that make me money! Summary: In a few words, Smart Dollars Club is a scam you should avoid, in this review I will explain how and give you proof why this is a scam to avoid! How Does Smart Dollars Club Work? Can You Earn with Smart Dollars Club? Smart Dollars Club Links you to Random Sites! You Can Lose Money with Smart Dollars Club! Smart Dollars Club is NOT Safe! Your Private Info will be Sold! Tons of Negative Reviews Online! Last week I came across a thread on Viral Alert about a website named smart-dollars.com. Smart-dollars is a scam according to that thread, the website smart-dollars.com is down so I thought it's out of business. But this morning I came across SmartDollarsClub.net and after doing my research I realized that it's the new domain name of the old smart dollars. Many folks online want to know what Smart Dollars Club is if it's a legit place to earn or not. That's why I have decided to publish this review for you, make sure you read it so you don't get scammed. UPDATE: Please note that Smart Dollars Club has changed their website design, the screenshot at the beginning of the review is their new design. With that said Smart Dollars Club is still not a legit opportunity like this review says! UPDATE NOVEMBER 2018: Smart Dollars Club have changed their website design again, but they are the same scam! 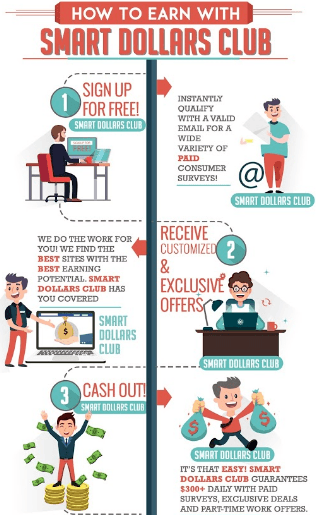 Smart Dollars Club looks like a survey platform where you can complete surveys to make extra cash. You have to leave your email address to start receiving surveys, this does not look like most surveys because Smart Dollars Club is going to make you $150 for every single survey you complete. But can you really make $150 per survey or that's fake? If you are skeptical you should be because the popular surveys like Swagbucks and Inboxdollars don't pay anything around $150 per survey. It's well known that surveys are a good opportunity to earn easy extra cash every month but $150 per survey? It's too good to be true! No one can pay you all that money per survey unless you have some life changing opinions or something like that. I used to do paid surveys with sites like Smart Dollars Club but honestly they were just a waste of time! With this free to Join Program I started to make $3,000 a month from home. Does Smart Dollars Club Work? The short answer is a big fat NOPE. First of all, Smart Dollars Club is not a company or a market research firm but just a website that belongs to an affiliate of different surveys. When you complete the surveys suggested by Smart Dollars Club the owner is making referral/affiliate commissions. ​Affiliate marketing is a good and ethical way to make money, but when it comes to WHAT KIND of surveys Smart Dollars Club is sending you there is a big problem. You don't need to sign up to Smart Dollars Club, just enter your email address and you will receive your $150 survey. So I gave Smart Dollars Club a bogus email that I use just for this kind of sites, after a few minutes I received a $150 paying survey invitation to my inbox. I decided to click on it and check it out and see if I really can make $150. 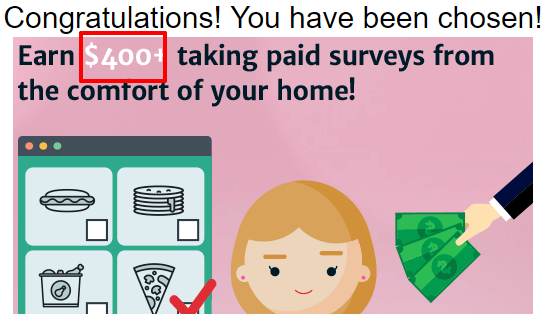 After clicking on the offer, I was told that I can make $400 per day taking surveys. In the email offer, I was told that my resume was accepted because it met their guidelines, but I did not send any resume, I have just submitted my email address. But after trying to click on the $150 survey I was sent to a betting website! 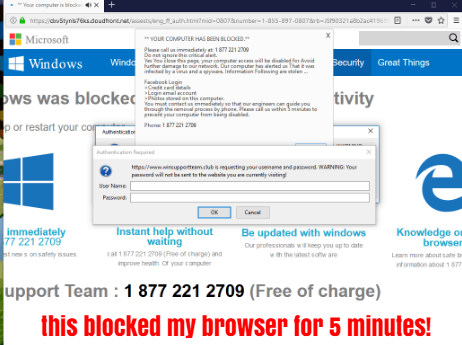 I tried clicking on the survey one more time it took me to another betting site, after trying again I was sent to a Microsoft spammy link that wants to install a virus on my computer! This website is definitely sketchy and it might be dangerous to use! You need to avoid it! Tired of Scams like Smart Dollars Club? Is Smart Dollars Club Real or Fake? Can You Earn Money? Can you make $150 per survey? In my opinion, Smart Dollars Club $150 per survey claim is total BS, no one is going to earn that much per survey. I have been making money with surveys for years and I have yet to see a LEGIT survey that pays that high. You can earn around $5 to $10 for each survey you complete, that's how legit surveys work. If you want to earn something like $500 per day, surveys are not the right place, you're better off creating a website with the help of this amazing Training for Beginners. They Link you to Random Sites! I wrote this review back in August 2018, I was the first one to review Smart Dollars Club then a lot of other reviews popped up. Anyway back then when I tried the Smart Dollars Club surveys I was always redirected to a betting website and some fake Microsoft site. But today in February 2019 my email is literally flooded with spammy emails from Smart Dollars Club. I'm receiving up to 4 emails per day! Just have a look at my Inbox and how it looks with all this spam! As you can see these emails look very spammy and each one is promising me a big payout. So I was curious and decided to try one to see what kind of website I will be redirected to. So I clicked on one offer and it said that I need to collect my $507 payment. So I clicked on it and I was taken to a website called Telstra! I had a look and it's an Australian cellular network like T-Mobile! Now, what does that have to do with surveys and making money? This goes to prove that Smart Dollars Club only cares about making money for themselves! Guess what? I tried another survey now and my Laptop was blocked for 5 minutes! After clicking on the spammy Smart Dollars Club link I was taken a VIRUS link that opened on a new tap and did not even allow me to do anything because I wasn't able to get out of it! I had to turn off my laptop and restart in order to get it to work because I wasn't able to close any tabs! Here's how it looks like! Smart Dollars Club sends you to all kind of links, I clicked on many links that redirected me to paid offers. For example, I clicked on a link that asked me to enter my credit card details to try a monthly membership for a month for free. Obviously, I did not provide my credit card info but some people did and guess what? Many people forget to disconnect their credit cards after the free trial ends which results in getting their cards charged! You should be very careful especially with websites like Smart Dollars Club that will definitely charge you money without you knowing it! 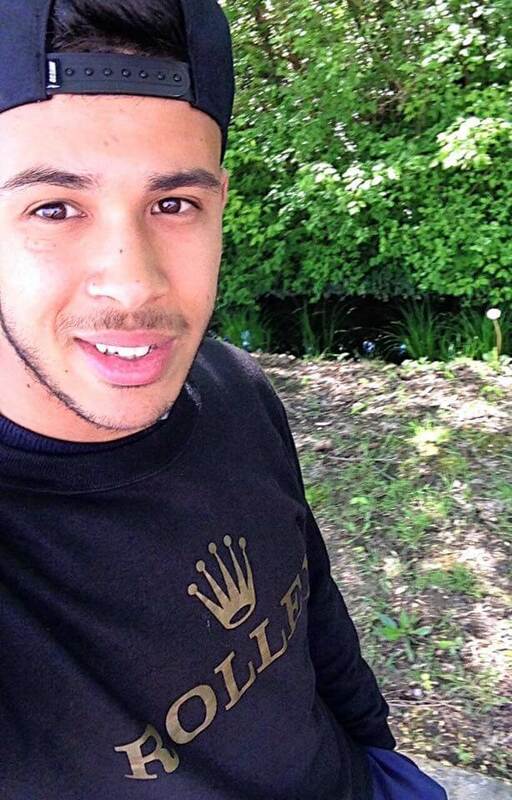 If you want to make money online you need to find a legit opportunity! Unfortunately Smart Dollars Club is NOT legit. With this free to Join Program I was able to finally work from home & earn over $3k a month! It's NOT Safe! Your Private Info will be Sold! Here's one thing not a lot of people know! Smart Dollars Club asks for your email address in order to join. The first reason is they want to keep emailing you offers to sign up to so they earn more money. But the second reason is what a lot of people don't know about. There are thousands of people signing up to Smart Dollars Club every single month which means now Smart Dollars Club has a HUGE list of email addresses. Did you know that there are marketers online that are desperately looking for email addresses to buy? Advertisers LOVE buying email addresses of targeted people because they can start promoting to them targeted products. For example, you gave your email to Smart Dollars Club because you want to make money which means SDC is going to sell your email to advertisers who promote make money online products! 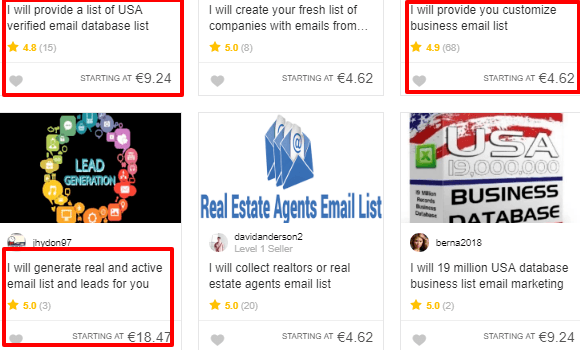 If you just visit Fiverr.com you will see tons of people selling email lists. Once your email is sold to other people you're going to be a victim of spam which is nothing fun. According to Aweber buying email lists is illegal and could put you in jail! That's why you should COMPLETELY stay away from Smart Dollars Club! Since Smart Dollars Club is an ugly and unsafe website lots of people are complaining about it. Below you can read some of the members negative reviews, also read the comments section this review to read some complaints. Don't forget to leave your comments too if you have anything to say! Smart Dollars Club is 100% scam as I said in the title! When I tried their surveys I was slapped with spam and viruses. Does that sound legit? I don't think so. In my opinion, Smart Dollars Club needs to be avoided by all means because it looks cheesy. It's impossible to make $400 per day from surveys, Smart Dollars Club wants to take advantage of you when you join the offers they promote. That's how they will make money off you, don't be tricked by them, now if you want an honest place to earn just read the report below. I used to struggle with making money before as I used to jump from a survey to another every time without making any money. It was until I discovered this great affiliate marketing training that I started making real money online. 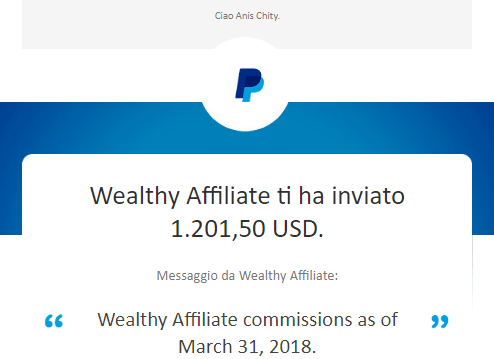 here are some screenshots of my honest earnings thanks to this training. If you want to stop earning pennies with surveys I encourage you to build your own affiliate site because it's really profitable! Do You have Any Experiences with Smart Dollars Club? Leave your Comments Below! Is Harris Poll Online a Scam? Do You REALLY Want to Earn $39/year? 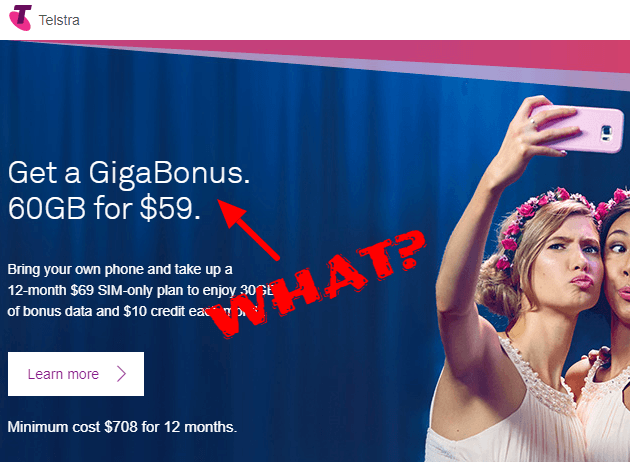 Rewards Buck Review – Give up Your Social Life for $10/month? Thanks for such an amazing review on smart dollar club, although i haven’t come across this survey site before now it’s a good thing you brought it up to so many people knowledge who would be searching for ways to make money through online surveys that this site isn’t recommendable. Good work! Thanks for clicking Seun, definitely Smart Dollars Club is not a smart idea to make money! Thank you Anis for exposing another scam. The invitation to make money by taking surveys is very appealing since you can work from home.I fell for one of these offers not long ago.I naively assumed that taking surveys would involve me calling and interviewing people for a market research firm.Well ,as you would guess, after I gave my E-Mail address and some information about myself , I was bombarded by spam E-Mails offering all kinds of products,mostly on how to make money online.If a company changes website addresses like the one you expose it is obviously a scam.But how can you recognize an honest offer for making money with surveys?.I am still intrigued by this opportunity. Hi Carlos, yeah it’s no fun to get bombarded with spam! 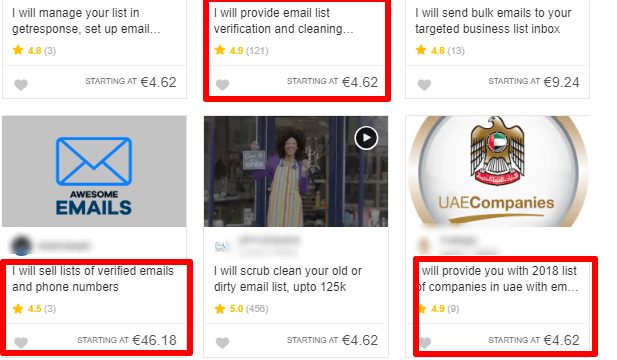 Legitimate surveys don’t give you bold promises like earning $400 per day and before joining a survey you need to read reviews and make sure it’s legit before you sign up. Very interesting article. You described it well. There are so many fraudulent site in internet like you shared about.This kind of bad work makes the online income questionable.We should beware of such fraud thing and let the people know about them. I think your review will help those people who are working online to make money.Thanks for sharing. If I can earn $150 per survey, I will leave my job right now! However, one thing I learn in life, there is no such thing as easy money. When the platform is vague about the owner that is a red flag for me. Also, why do they need your cc information when they are the one that is paying you? Thank you for this amazing review. Will share it with my friends. Thanks for your feedback Nuttanee, yeah $150 per survey is too good to be true! When I first read through the review I was wondering why the title screamed ‘scam’ when the actual product was free…how could they possibly scam with a free product? Well the selling on of your personal info is no laughing matter, and people’s details can go for a lot of money these days. Is this what you’d call a real ‘phishing’ funnel? When a product is free you’re the product as someone said, these guys will sell your personal info for money which will get you tons of spam definitely not fun. That’s right Kehinde, scams like Smart Dollars Club claim to be a shortcut for success but unfortunately, shortcuts don’t exist! Wow, thanks for the info! Yeah, that definitely sounds like just PURE SCAM, sending you links to their affiliate ads where they get some sort of pay-click. You would never see a dime from them. I’m surprised they didn’t promise you $1000 or $5000! Haha. And they’re not even pretending, really! Pretty b*llsy! Anyway, thanks for the heads-up. Yes Don, Smart Dollars Club is a pure scam as you’ve described! Thank you for alerting us about this scam. In fact, I don’t believe at all at survey sites (not that all of them are not legit) but because I don’t like being paid such a small amount of money for your time to fill surveys. I am a lot more oriented towards ways to make passive income online. Because what’s the purpose of filling surveys for a minimum pay? And even the fact that you mentioned that the same programs has another domain is a bad sign in my opinion. I see it this way: they were trying to re-brand a failed product. Hi there, yeah most surveys are bad and not pay well, it’s always better to start your online business for sure. What money you want to claim? Smart Dollars Club is a scam. Good catch on this one! I usually avoid sites that pay out for surveys just because so many of them turn out to be scams, but $150 is awfully tempting. I guess they know that will bring people in, even the skeptics. Thanks for testing this out and letting the world know about the scam! Same experience with me here too. There are several survey sites that after clicking, would bring me to betting sites. Initially, I thought it’s some virus bug on my browser, but as it becomes more obvious that it is the funnel pattern, I stop checking out this type of sites. Smart Dollars club doesn’t seem to work any better either so I’ll certainly stay away from it. Hi Cathy, Smart Dollars Club does not work, it’s a scam, if you want to earn doing surveys, Swagbucks is absolutely the best! Your site was easy to manuver and easy to read. I like that you have used each source . There are many scams outthere and pointing them out is a necessary resource. I recommend you change: ‘training has gave me” to “training has given me” also “It was until” to “It wasn’t until” . your good to go! !